Cuminum cyminum L. (cumin) seed is used as a spice in various countries. Although several functions of the components in cumin seed have been reported, the anti-allergic effect of the water-soluble component in cumin seed has not been reported yet. In this study, we focused on the suppressive effect of cumin seed aqueous extract on degranulation in order to reveal the anti-allergic effect of cumin. 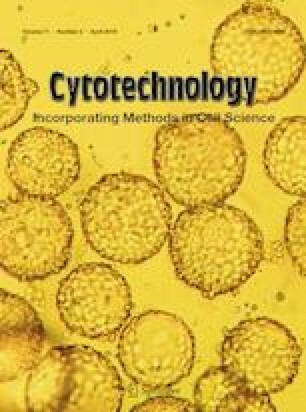 Cumin seed aqueous extract significantly suppressed the antigen-induced degranulation of rat basophilic leukemia cell line RBL-2H3 cells in a dose-dependent manner without cytotoxicity. The extract also inhibited the elevation of the intracellular calcium ion concentration induced by antigen. Immunoblot analysis revealed that the extract suppresses phosphorylation of phosphatidylinositol 3-kinase, Bruton’s tyrosine kinase, phospholipase C-γ1/2, and Akt in the signaling pathways activated by antigen induction via FcεRI. Furthermore, the extract suppressed microtubule formation induced by antigen. In addition, oral administration of cumin seed aqueous extract significantly suppressed the passive cutaneous anaphylaxis reaction in BALB/c mice. Our findings suggest that cumin seed contains water-soluble components with the anti-allergic effect. Therefore, cumin seed has potential as anti-allergic functional food. The online version of this article ( https://doi.org/10.1007/s10616-019-00309-2) contains supplementary material, which is available to authorized users. This work was supported by S&B Foods Inc. Animal experiments and fluorescence microscopic observation were accomplished at the Division of Genetic Research of the Advanced Research Support Center (ADRES), Ehime University. Hiroyuki Onda and Takuya Sugahara are inventors in a patent application filed by Ehime University, which disclose bioactive agents targeting mast cell degranulation described in the present article. The remaining authors declare no conflict of interest.